King County is King, and counting! While its sports teams, like those in every U.S. city, begin each season dreaming of a first-place finish, Seattle’s rate of real estate appreciation has topped the national charts for more than a year and, based on the latest quarterly forecast from Veros Real Estate Solutions, will stay there for the next 12 months. 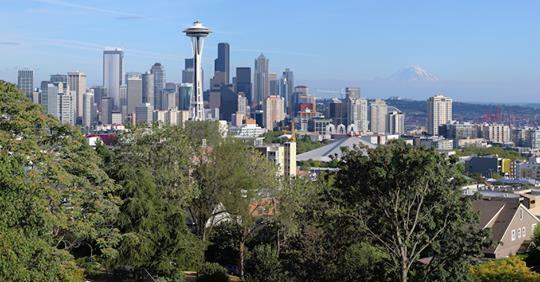 Number one on the list, with a projected rate of appreciation over 11%, was Washington State’s Seattle-Tacoma-Bellevue metro area. It covers Seattle’s King County, along with neighboring Pierce and Snohomish counties. For a decade and a half, VeroFORECAST provided projections to help lenders anticipate risk and facilitate loan portfolio management. The recent March 2018 report is based on data from SFRs, condos and townhouses in 342 MSAs, and covers nearly a thousand counties and more than 13,600 ZIP codes. These markets contain approximately 82% of the nation’s population. The Seattle metro market’s rise is no anomaly. The influx of new residents into Washington has been trending upwards for decades and we see appreciation rates up in counties all around Puget Sound. The Seattle market’s remarkable strength is reflected in a supply of homes measured at a speedy one month of inventory. According to a recent article by Windermere Real Estate Chief Economist Matthew Gardner, the high appreciation and low inventory figures within these counties are also reflected in dropping rates of home sales. Between fourth quarter 2016 and fourth quarter 2017, Bellingham’s Whatcom County was off .2% and King County slowed by 1.1%, while home sales in Skagit County dropped 7.6%.